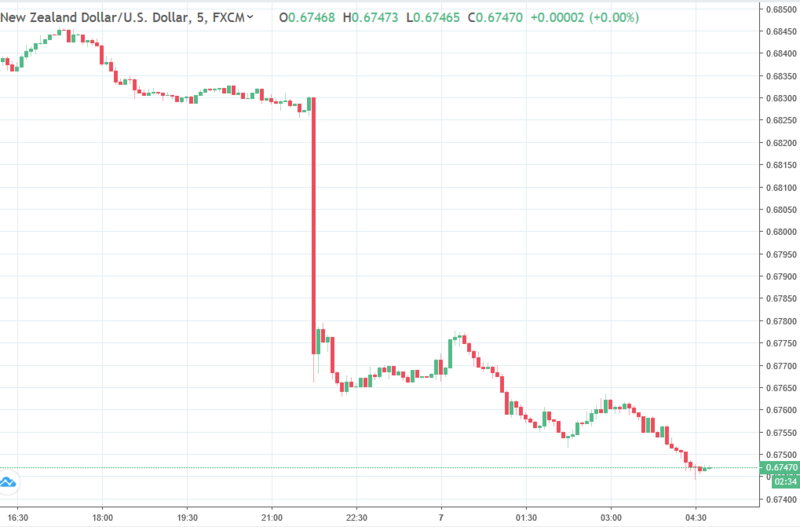 AFR: "RBA goes neutral as the risks pile up" … "economy on a knife edge"
The New Zealand dollar was a big loser today. Official employment data is published from NZ only once a quarter, and today we got the Q4 2018 results. Q3 was a big positive and some 'give back' was built into expectations for Q4, but the result came in worse than the lowered expectations. Kiwi was marked down immediately, from around 0.6830 to under 0.6780 and the rot set in further from there. NZD/USD is currently under 0.6750 and looking heavy still. Pricing for rate cuts from the RBNZ have firmed for 2019. Note, there is a central bank meeting next week but the Bank is not expected to move at this meeting. AUD came under a little pressure as the kiwi fell and is near its session low as I post. The RBA quarterly Statement on Monetary Policy is due Friday, Australia time (0030GMT). USD/JPY stepped back from just under 110 in morning Japanese trade but has since inched back towards there and looks set for another go at the figure.